Would you like to save this content for later? Today, the economy is at the center of debate in business, in politics, and around the kitchen table. As one solution, the government is focused on encouraging trade with other nations to help the United States regain its competitive advantage. One of the most interesting targets for trade is Brazil. Brazil is the “B” in the BRIC emerging nations poised to outpace the developed nations in the new global economy. Brazil has paid back its sovereign debt and tamed hyperinflation. With a national grid of hydroelectric power and vast oil resources, it is energy self-sufficient. Expanding nations like China envy its tremendous mining resources. Like the U.S., it is another ‘bread basket’ to the world. It exports soy beans, coffee, sugar, fruits and meat products during a time of world-wide inflation and food shortages. It has a growing consumer class with greater access to credit. Brazil is self-sufficient in its energy needs. 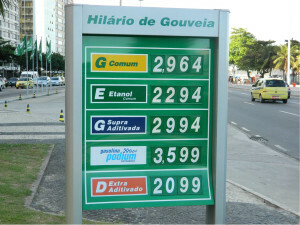 When the price of gasoline spikes, vehicles are designed to use sugar-cane based ethanol instead. 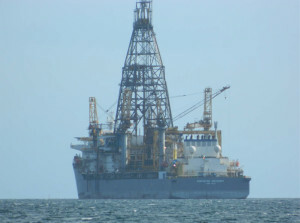 Since huge deep-water pre-salt oil reserves were discovered in the Tupi fields off the coast of Rio de Janeiro, semi-privatized energy leader Petrobras is seeking partnerships with foreign companies for modern energy extraction technology. Brazil is a great place for U.S. businesses to market their products and services. The two nations have enjoyed friendly relationships but the U.S. should beware—Brazil has friendly relationships with other nations as well. U.S. businesses could lose out on a great opportunity. In anticipation of the World Cup and Olympic Games, the Brazilian government is struggling to meet infrastructure and construction needs. Education, technology and sustainability solutions are such a high priority that foreign enterprises with expertise in these areas are welcome in the country. Foreign venture capitalists will find a vacuum in real estate development as most Brazilian consumers won’t seek home mortgages at high bank interest rates. 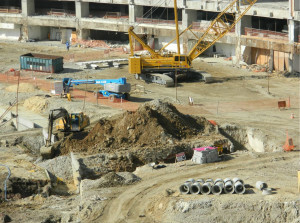 The Maracanã soccer stadium is undergoing reparations in anticipation of the 2014 World Cup competition. 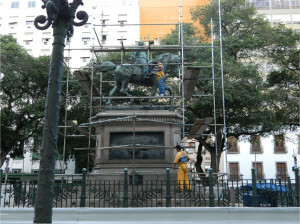 This is just one example of pressing construction and infrastructure industry needs in Brazil. Tourist mecca Rio de Janeiro is getting a facelift before the upsurge of visitors when Brazil hosts the 2014 World Cup and 2016 Summer Olympic Games. The best course is to find out where the opportunities are. For example, new laws automatically charge a duties tax to Brazilians’ credit card purchases abroad. But Brazilian travelers using cash are allowed to bring these purchases home without having to pay any of these taxes. The glitch in Brazilian law could be a boon to those targeting Brazilian tourists abroad. According to the latest statistics, half of Brazilians are now classified as belonging to the middle class. For a developing country, this is an enormous stride. Digging further into the numbers reveals a more muted picture, however. This 50% of middle to low-middle class earners in Brazil is based on a calculation of multiples of minimum wages brought into a single household. The official minimum wage is not consistent from year to year, so the statistics are skewed. In the ‘pacified’ Brazilian shantytowns where drugs gangs have been expelled by police, tin roofs and spliced electric wires are being replaced by brick and mortar buildings, power and sewage infrastructure. Reading between the lines involves scratching beneath the surface to understand whether public information is accurate or exaggerated. 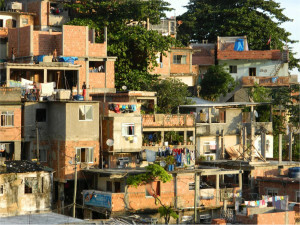 Be forewarned, poverty is still rampant in Brazil. But despite the hype, overall trends are definitely headed in the direction of a healthy, improving economy. It takes education, insight, and the right connections to accurately assess the business environment. What you know is essential, but developing the right network of contacts is even more important to success abroad. 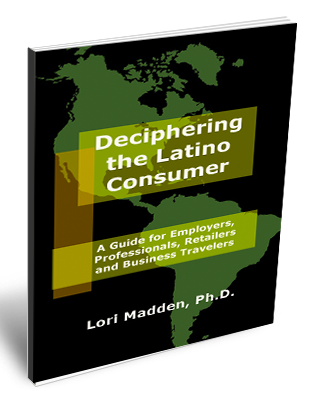 Business travelers need to be as knowledgeable about how to deal with other cultures as they are informed about the businesses they are in. Short-term minded U.S. executives must switch to a long-term philosophy as they form relationships with Brazilian executives. Culturally-savvy consultants can help prepare travelers to choose the right steps and avoid the pitfalls. Brazilians speak Portuguese; never assume that you can practice your Spanish with them. It’s insulting. * It’s much more likely your contacts will have learned English rather than Spanish. They will want to practice their English with you. On the other hand, you’ll make a good impression if you are functional in Portuguese. If you can’t even order a meal in a restaurant, you will look helpless. 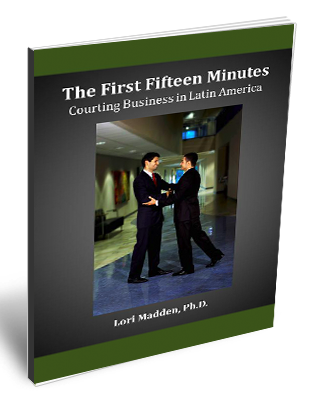 Although business may be conducted in English, the U.S. executive should present him or herself as self-sufficient rather than relying on Brazilian hosts to act as tour guide. The right preparation goes beyond learning a language to understanding cultural behaviors. Brazilians are gregarious, tolerant and hospitable…to a fault. They don’t like to say ‘no’. The business traveler is wise to observe and interpret Brazilians’ reactions because they won’t want to speak the truth and risk embarrassing anyone. And if you have a meeting scheduled, be sure to confirm ahead of time, then confirm again the day before. Being ‘global’ does not mean being the same all over the globe. Business is not conducted the same way everywhere. Investing in a cultural education is a pre-requisite for success abroad. *The title of this article in Portuguese is “O meu Brasil é com ‘s’,” a song lyric that expresses the Brazilian frustration with being lumped in with the rest of the Spanish-speaking Latin American countries. Copyright © 2014 by SLS Publications, LLC®.